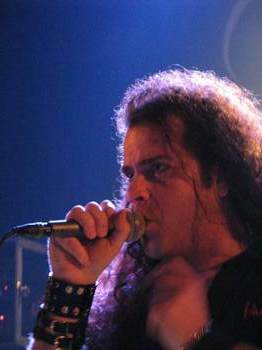 On November 16th Fates Warning played at `De Bosuil` in Weert. 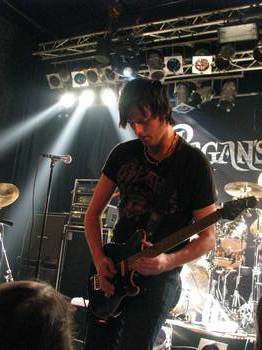 Supporting band was Pagan’s Mind, a Swedish prog band that had just released a great cd "God’s Equation". Fates Warning had not released a new cd, so I was very curious what their set list would be like. At 20:30 Pagan’s Mind started off, with a rather strange the sound. In front of the hall there was a lot of bass sounds spoiling the mix. Luckily in the back the sound was much better, the vocals, guitar and keyboards were audible very well. This was far from good for the complex prog metal of Pagan’s Mind. 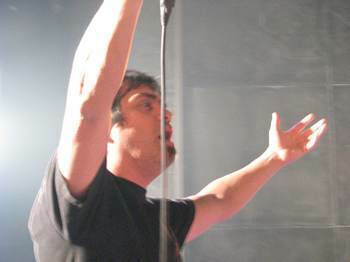 The emphasis was laid on the new album, songs like ‘Hello Spaceboy’, ‘Atomic Firelight’ and , Painted Skies’ were performed quite well although singer Nils k. Rue sometimes went over the top with his vocals. Halfway the show he left the stage and Floor of After Forever joined the band to sing the Heart cover ‘Alone’. 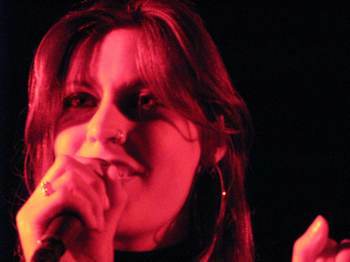 They had previously met at Progpower in the States. After 50 minutes the band left the stage. I hope to see this band again when they will tour as headliner. I think the sound will be better then. After a break of 30 minutes it was time for Fates Warning. The band of Ray Alder (Singer) and Jim Matheos (guitar) was in a very good mood and this was audible. Unfortunately, as with the opening act, in front of the hall the sound wasn’t that good, the drums and bass guitar were dominating the sound too much. Of course the albums "Perfect Shade of Gray", "Parallels" and "Chasing Time" were represented. Songs like ‘the Eleventh Hour’, ‘Silent Cry’, ‘Still Remain’ were performed quite well. They sounded rather heavy with 2 guitar players. Drummer Bobby and bass guitar player Joey did a great job. After 75 minutes the band started ‘Monument’, a superb performance of a great song and the ending of a great show. It was obviously clear the band had a great time too. Next time I hope to see Fates Warning touring with a new album, that should be absolutely great.